Arden Street House was built in the 1930's by a Scottish sea captain and the house reflects his influence with beautiful stained glass windows depicting sea themes. English Bungalow/Art Deco architectural features are visible throughout the house with pretty and characterful ceilings in some rooms, leadlights, oak paneling, and picture rails. Your hosts Joyce and Dave enjoy meeting travelers and hearing their stories in their quiet, comfortable and quirky home. For those who enjoy meeting the local Dunedin arty and interesting population, Joyce hosts lively social dinners using fabulous organic produce from her garden. There is also a piano for guest use. Guests describe our home as having a warmth far beyond temperature! The house has spacious character bedrooms with fabulous views and is well suited to those wishing for the quiet experience, including waking each morning to the sound of birdsong (tui and bell birds) and the 'whoosh' of kereru (NZ native pigeon) navigating the surrounding trees. More information on our native birds. 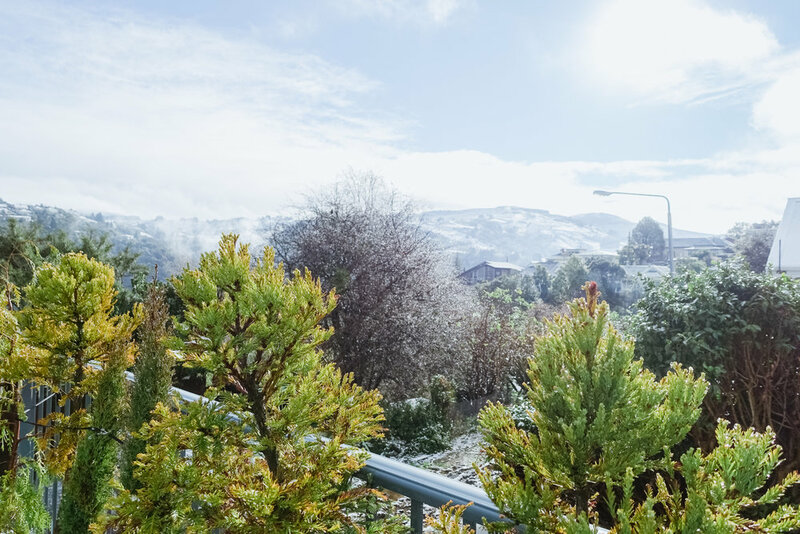 Arden Street House is located just 3 minutes walk from the beautiful Botanical Gardens, 1 minute from Knox College and 20 minutes walk from the city centre, Forsyth Barr Stadium, University of Otago and Community Hospice. We look forward to welcoming you when you visit Dunedin.